Listening assessment based on El Sombrerón. 1 track is the entire legend, another track is broken into 10 parts to make finding answers a bit easier. The form associated with this one asks for the main idea, supporting details and the purpose of the legend. 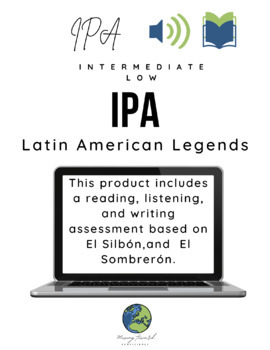 Reading assessment based on el Silbón. 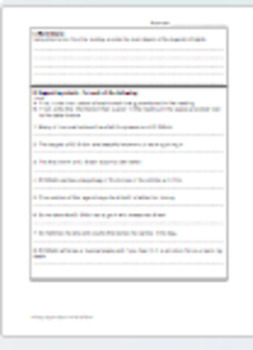 Reading form asks for main idea, supporting details and some inference questions. Writing: Asks students to compare the two legends in Spanish. I had students complete reading and listening one block (72 minutes), prepare for writing the next class, and take writing the following block.